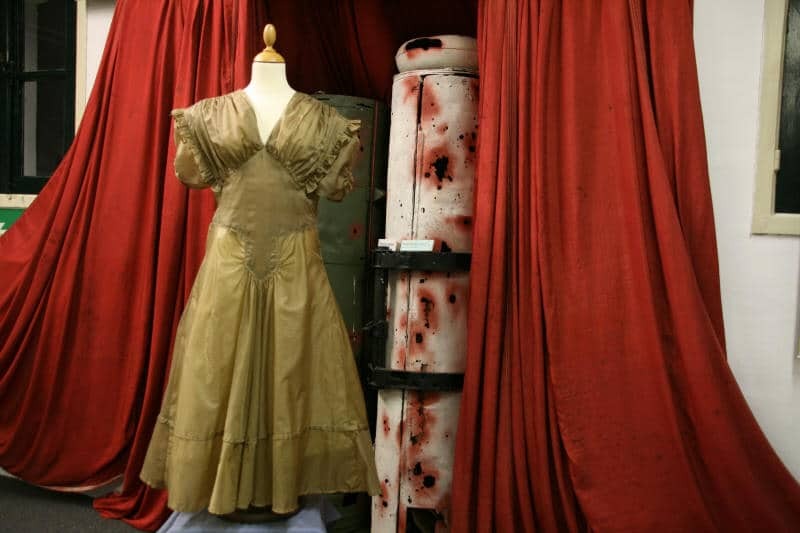 In the exposition we have an engagement dress made in 1946 from the parachute by which – coming from the U.K. – Jos Gemmeke as secret agent was dropped over Nieuwkoop on March 10th, 1945. The presentation is also dedicated to Ron Sloan, pilot of the Short Stirling who flew her to the dropping zone, and to the work of the dropping squad Nieuwkoop, which acted as reception committee, and helped her on her way in continuing her resistance work. 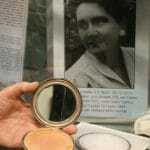 During the Second World War Jos Gemmeke started her resistance work in The Hague by dispersing the illegal newspaper ‘Je Maintiendrai’. Later on she was engaged as an agent and liaison officer in which capacity she more than once, looked after the transport of transmitters and other materials which were sent from England to resistance groups in The Netherlands. 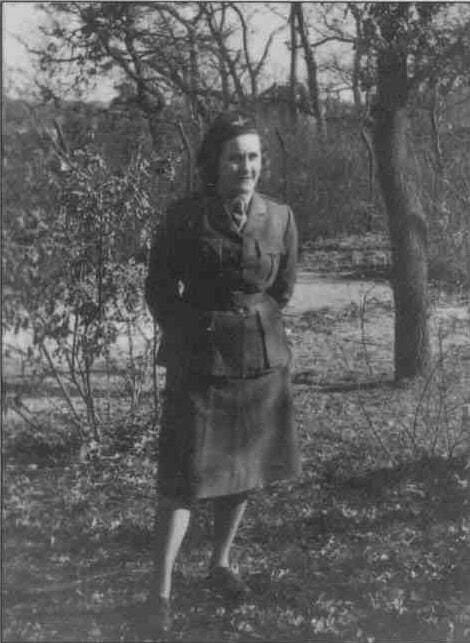 In October 1944 she went on a bike through enemy lines to Brussels with microfilms, which were hidden in the shoulder stuffing of her coat, destined for the Special Assignments Bureau – the Dutch secret service in London. During this trip she was shot at many times, by the Germans as well as the allied forces, and she just managed to escape alive. From Brussels she went to England because that happened to be the safest way to get her back to Holland as fast as possible. In London she was trained by the Special Operations Executive for the task of secret agent after which she was dropped by parachute near Nieuwkoop on March 10th, 1945. At the dropping she was hurt but that did not stop her from continuing with her orders. After the liberation she wanted to start her normal life again as fast as possible, and therefore she discontinued all her connections with the resistance movement. She married a Mr. Fick and they had two children. Only the last 20 years she ended her silence, and ever since she was present at all the important commemorations. 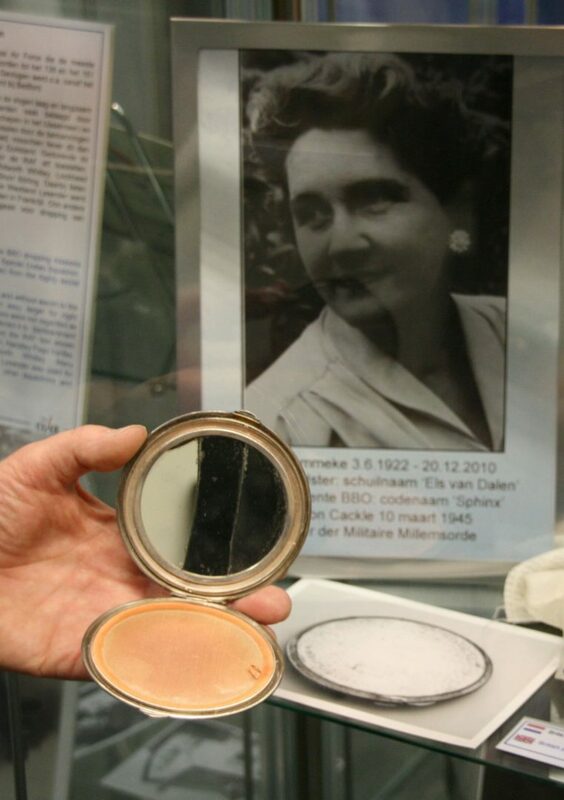 On July 8th 1950 she was appointed by Queen Juliana as Knight (4th Class) of the Militaire Willems-Orde (MWO-4) [*]. Together with Queen Wilhelmina (who abdicated in 1948) she was the only women ever to be knighted with this decoration. Sometime in 1970 she married the air-force and wartime pilot Joop Mulder who happened to be a Knight of the Militaire Willems-Order too. In this case they happened to be the only married couple who were both Knights of the Militaire Willems-Orde. [*] The Militaire Willems-Orde is equivalent to the Victoria Cross and the Congressional Order of Honor.